Imagine having someone offer you money simply for having good manners. As it happens, it’s a growing trend at restaurants across the country, like The Station restaurant in Bernardsville, New Jersey, that are willing to shell out big rewards for good table manners during a time when cellphones might seem like extra utensils at the dinner table. “When you walk into a restaurant, that’s what everyone is doing — they’re on their phones,” diner Brian Allen said. As CBS 2’s Kristine Johnson reports, many restaurants are offering diners a discount to put their phones away. 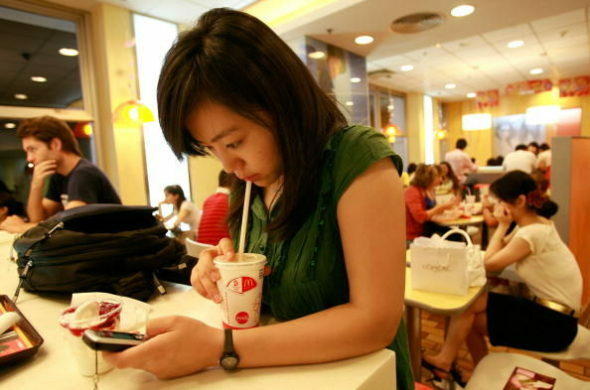 Restaurant managers say they’re tired of looking at the tops of patrons’ heads who are so engrossed in their phones that they don’t seem to be enjoying their meals or their companions. “What we’re trying to do is encourage families to communicate a little bit more,” Infantolino said. And that’s not the only discount diners can get for good manners. One receipt from a Japanese restaurant in Canada offers a $5 break for well-behaved children. In Dallas, a burger chain is giving out discounts to people for being nice. “What it says is some of us don’t know what good manners are these days,” Geraldine Napier-Fitzpatrick said, president of the Etiquette School of New York. She says says we’ve all become so obsessed with our phones and computers that we sometimes need a reminder on how to act in public. “We’ve gone so far that we have to come back a bit and focus on the people in front of us rather than on our devices,” Napier-Fitzpatrick said. And some restaurants, like Kasbah Kosher Steakhouse on the Upper West Side, even offer incentives to patrons who pray. “What we offer here is a free dessert in exchange for the notion of spreading God’s work,” floor manager Abraham Bakst said. Bakst says praying is not mandatory, but can enhance the dining experience. “The notion of food for the soul really comes out in these types of promotions,” Bakst said. All of the promotions are optional but diners CBS 2 spoke with were all in favor of them. Embarrassment, occasionally and necessary have been listed among the words Britons have most difficulty spelling. 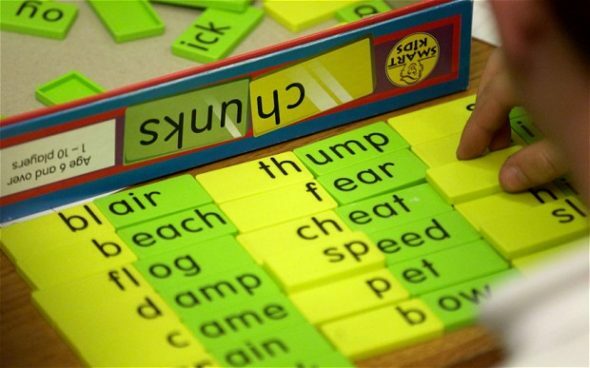 Researchers who studied 2,000 adults found that more than half had problems spelling commonly used words. The list included accommodate, questionnaire and rhythm. Conscience also proved tricky, along with occurrence, restaurant and guarantee. The research, commissioned by the television channel Nick Jr. UK to mark its new literacy-based show, Wallykazam!, found that 40 per cent of people confessed that they rely on autocorrect technology to monitor their spelling. More than one in five would panic if they were forced to abandon spellchecking technology and rely on their own knowledge. Nearly half of people admitted they judged others if their spelling was poor, while just under a quarter of people admit they have been embarrassed by a spelling mistake they made at work. One in five said they tended to Google a word to check its correct spelling. For aficionados of Thailand’s spicy national cuisine, the offerings at Thai restaurants outside the Asian kingdom are often disappointingly bland and neutered. 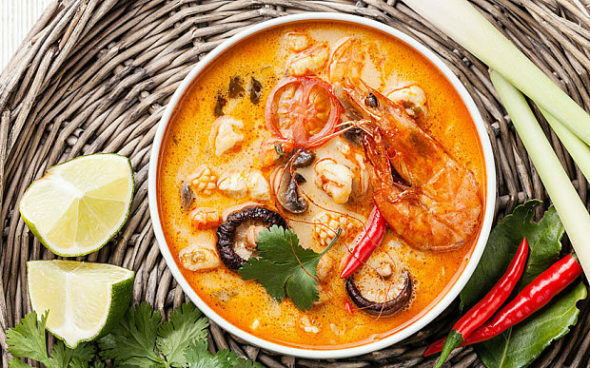 But the government in Bangkok is launching a culinary crusade against poor Thai food by unveiling a robotic food taster that will issue a seal of culinary approval for true green chicken curry or tom yam kung (the spicy lemongrass-infused shrimp soup). Rather than relying on human taste buds, the so-called “e-delicious” machine will test food dishes for the chemical composition of their ingredients with sensors and micro-chips. The results will then be compared with the chemical make-up, already programmed into the machine, of those particular specialities already approved as excellent by humans. Celebrities, chefs and food critics have been invited to a gala dinner for the launch of the device in Bangkok on Tuesday night where they will have the chance to pass judgment on the robot’s verdicts for the first time. Development of the device was overseen by the Thai Delicious Committee, a government-funded programme. There are proposals for the machines to be sent to embassies in countries where Thai restaurants are popular so that a grading system can be issued for individual establishments. In a country where the best food is often cooked at simple street-side food stands, turning to a computer as the ultimate arbiter for gastronomic excellence is anathema to many. The mission to improve Thai food abroad was started by Yingluck Shinawatra, the former prime minister deposed in a coup in May, and has been maintained by the junta that replaced her administration. There is also a hint of food nationalism in the mix in a country that does not believe, with some justification, that non-Thais can really conjure up great Thai food.